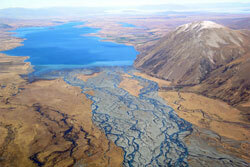 Featuring Lake Tekapo, an archive of historic features on Tekapo Tourism. Mackenzie Alpine Horse Trekking (MAHT) run a series of multi-day horse treks in some of New Zealand's most impressive scenery. 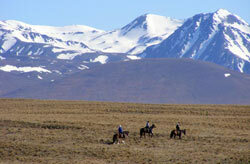 View an archived feature on those treks. 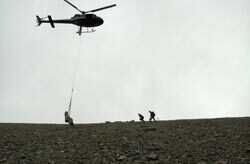 In 2010 Tekapo's Roundhill Ski Area went from a popular and concise family field, to one of the largest ski-able vertical rises on a New Zealand ski area - thanks to their new Heritage Express rope tow, installed on to the top of the Richmond / Two Thumb Range. With many of the world's populated cities now long longer being able to see a sky of stars, the night sky may be becoming endangered by light pollution. 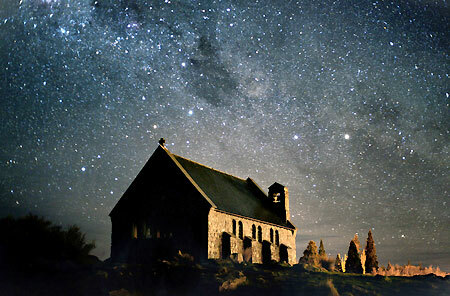 Follow Lake Tekapo's goal of becoming one of the world's first night sky reserves. 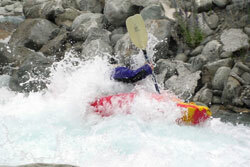 Lake Tekapo sports one of the best purpose built kayak courses in the southern hemisphere. Built to take water of the controlled section of the Tekapo River, water flow is dialled up and the fun begins. 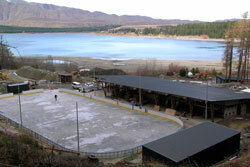 Lake Tekapo's Winter Park opened on its shores in the winter of 2007. The Winter Park is operated in conjunction with the Alpine Springs and Spa at the same location. 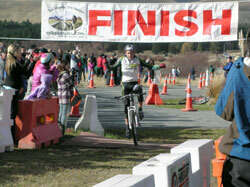 Every year on New Zealand's Queens's Birthday weekend, MTB Pursuits, in association with their major sponsor, Run79, host the Run79 MTB Pursuit race around Lake Tekapo. View our 2007 feature on the race. 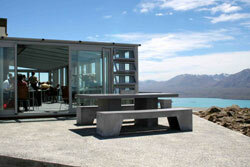 Earth and Sky's Astro Cafe opened on the summit of mt John back in 2006. View our archive feature page of the cafe listed shortly after the opening.